to help raise funds to fight HIV/AIDS. 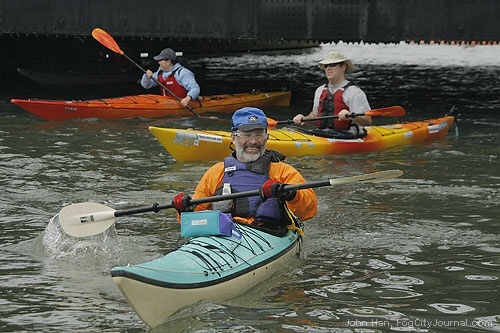 Seventeen AIDS service organizations inspired 88 kayakers to raise thousands of dollars Sunday during the third annual “People Paddle” event. 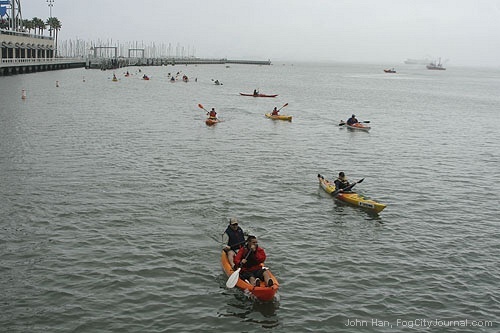 Kayakers, young and old, set off from Pier 40 in South Beach Marina Harbor in San Francisco to help raise funds to fight HIV/AIDS. 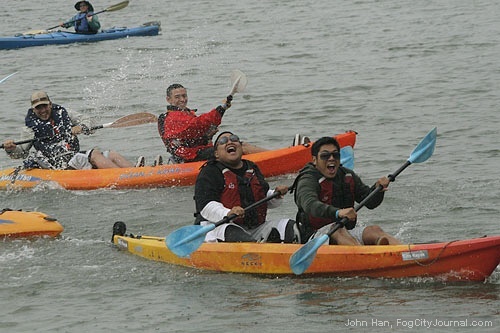 The United States Coast Guard and American Medical Response ensured participants’ safety during the event which has, so far, raised $16,000 and is expected to exceed last year’s fundraising total of $22,000. 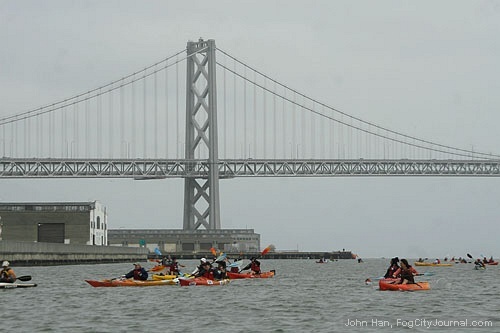 Kayaking is a sport with a strong demographic base that includes more than 25 million recreational participants, with thousands of avid paddlers here in the San Francisco Bay Area. 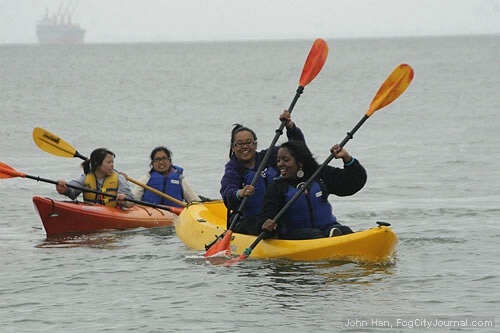 Kayaking is accessible to people of diverse abilities and is regarded as one of the most popular sports among indigenous Northwestern native Americans. 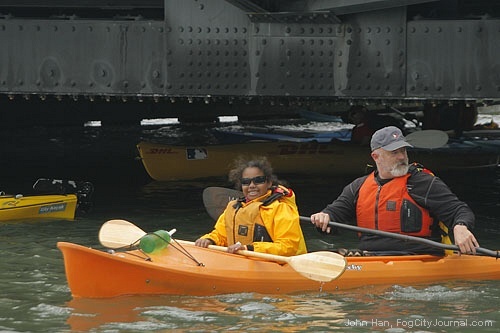 Healing Waters, an AIDS service organization whose mission is to empower, inspire and enrich the lives of people living with HIV/AIDS, performed volunteer coordination, checked the integrity of all participants’ life jackets, organized security as well as providing banking and database management. 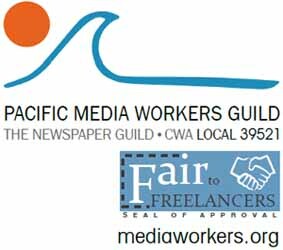 The unique pledging software, designed by People Paddle Co-Founder, Dean McCully, allows donors to choose from multiple beneficiaries including Asian & Pacific Islander Wellness Center, 360: The Positive Care, Center at UCSF (Men of Color Program), AIDS Legal Referral Panel (ALRP), OneBrick, Healing Waters, WORLD Information & Support Network by for and about Women with HIV/AIDS, PAWS of San Francisco, AIDS Emergency Fund, Project Open Hand, Bay Area Young Positives, Women’s HIV Program at UCSF, Lutheran Social Services of Northern California, AIDS Health Project, Richmond/Ermet AIDS Foundation, Shanti, New Leaf Services, and Vital Life Services. Sponsors included the California Department of Boating and Waterways, the Mayor’s Office of Neighborhood Services, Supervisor Chris Daly, City Kayak, Kayak Connection, Outback Adventures, Sea Trek Ocean Kayaking Center, Blue Waters Kayaking, Aquan Sports, AMR American Medical Response, Half Moon Bay Kayak Company, Monterey Bay Kayaks, Trader Joe’s of Concord, and the historic Java House CafÃ© provided a discount to People Paddlers and an electrical outlet for the band. 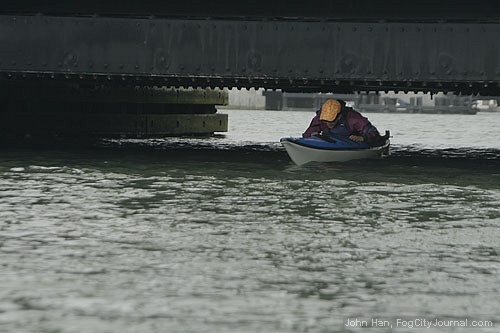 One Brick, the high-tech way for people to volunteer without long commitments, and Alpha Phi Omega, the National Service Fraternity at USF, provided volunteer dockworkers, carrying kayaks and helping people into and out of boats. Captain Rick Webber provided the Committee Boat. Kimrea and the Dreamdogs struck up sweet blues entertainment just as the first kayaks started arriving. The Raiderettes warmly welcomed every last paddler safely ashore. 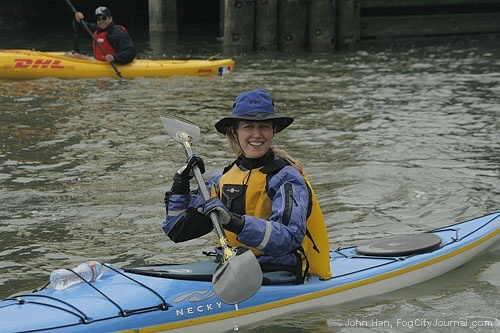 Created in 2006 by a team of kayaking enthusiasts and volunteer event managers, People Paddle is a consortium of individuals dedicated to combining kayaking with fundraising. 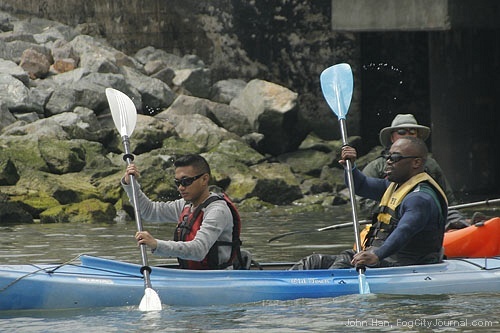 Comments for Kayakers paddle to fight HIV/AIDS are now closed.